Home / Piracetam / Piracetam vs Aniracetam: Which is Best? If you’ve been taking Piracetam for a while, have been satisfied with its performance and haven’t noticed any intolerable side effects, you might be thinking about trying some of the other racetams. 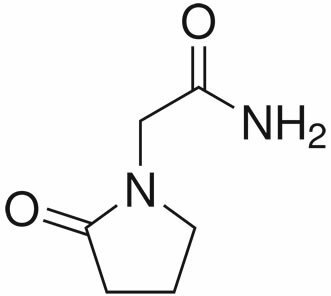 For many nootropic users, the next step after Piracetam is Aniracetam. The Swiss pharmaceutical company Hoffman-La Roche developed Aniracetam (1-p-anisoyl-2-pyrrolidinone) in the 1970s as a fat soluble alternative to Piracetam, which is water soluble. Fat soluble molecules cross the blood brain barrier more easily than water soluble molecules do. 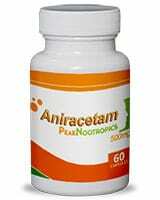 Because it crosses the blood brain barrier so easily, Aniracetam is very fast acting compared to Piracetam. However, its effects don’t last as long as those of Piracetam. This is because a large percentage of a dose of Aniracetam is broken down in the liver during digestion; only about 0.2% of the original dose reaches the systemic circulation. 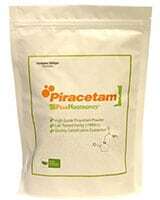 Piracetam, on the other hand, has almost 100% bioavailability. It’s practically unchanged by the time it’s excreted in the urine. Both drugs are cognitive enhancers with neuroprotective qualities. Research shows that Aniracetam, like Piracetam, preserves cognitive function in people with dementia. Aniracetam has been shown to improve learning ability in rats, monkeys and pigeons. It restores memory in rats that have been given electric shocks or scopolamine and monkeys that have been given scopolamine. It repairs cognitive defects in rats that have experienced traumatic brain injuries or have foetal alcohol syndrome. Aniracetam has additional benefits that Piracetam doesn’t share. For one thing, it’s a mood enhancer that reduces fear, anxiety and depression and increase sociability. Rats given Aniracetam become less fearful, possibly because it affects serotonin and dopamine receptors, and spend more time engaging in social behaviours. Some people take it to relieve symptoms of social anxiety. It might alleviate post-traumatic stress disorder symptoms. When given to older rats, Aniracetam behaves like an antidepressant. It restores motivation in rats with central nervous system disorders. It improves mood and increases emotional stability in people with dementia. Other studies with rats show that Aniracetam relieves circadian rhythm disorders and REM sleep disturbances. It decreases hyperactivity and impulsive behaviour, symptoms associated with ADHD in people. 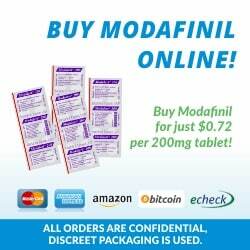 >> Looking to Buy Aniracetam? Click here to see our recommended sellers. Like Piracetam, Aniracetam must build up in the brain for a couple of weeks before it provides its full effect. However, because it crosses the blood brain barrier very easily, initial effects can be felt soon after taking the first dose. Some people report experiencing its benefits within hours. Because Aniracetam has a more intense effect than Piracetam, but its effect wears off more quickly, your Aniracetam dose should be smaller than your Piracetam dose, and you should take Aniracetam at more frequent intervals. Recommended dosages of Aniracetam range from 750 milligrams to 4500 milligrams per day, which can be divided into four doses taken throughout the day. Both Piracetam and Aniracetam affect acetylcholine receptors. As with Piracetam, taking choline with Aniracetam can help prevent headache. If you’re looking for a drug with low toxicity and few side effects that can help improve your memory, concentration and learning ability, either Piracetam or Aniracetam could be right for you. 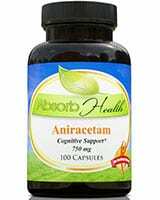 You can use Aniracetam for short periods of intense focus or Piracetam for cognitive enhancement over a longer period. 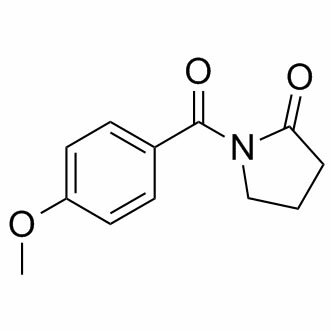 However, if you’re in search of something that will help alleviate feelings of depression or anxiety, particularly social anxiety, reduce impulsiveness or relieve problems with your sleep-wake cycle, you should try Aniracetam. For the best of both worlds, you can stack the two, combining the longer term cognitive enhancing effects of Piracetam with the shorter term cognitive enhancing and mood boosting effects of Aniracetam. Be sure to reduce the dosage of both drugs when stacking. Originally posted on April 24, 2014, last updated on December 1, 2018. I have tried both of these fairly recently. Although, each person experiences nootropics in their own personal way… I have found Aniracetam to be more effective for me and requires a much smaller dose. Piracetam does have an effect but is just too subtle in my own opinion.